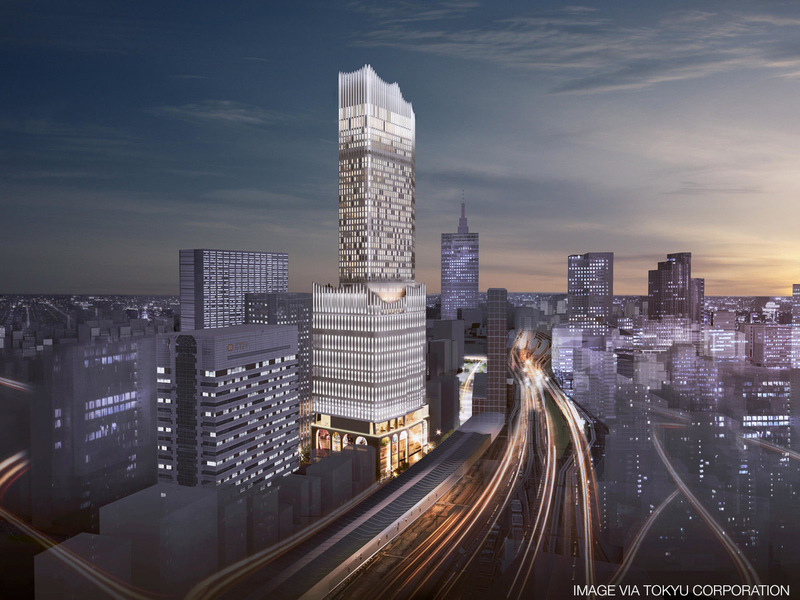 A 43-storey, 160 meter tall apartment tower is planned for the Nishi Shinjuku 5 Chome address in Tokyo. Construction is scheduled to start in mid-2020 with completion by July 2023. 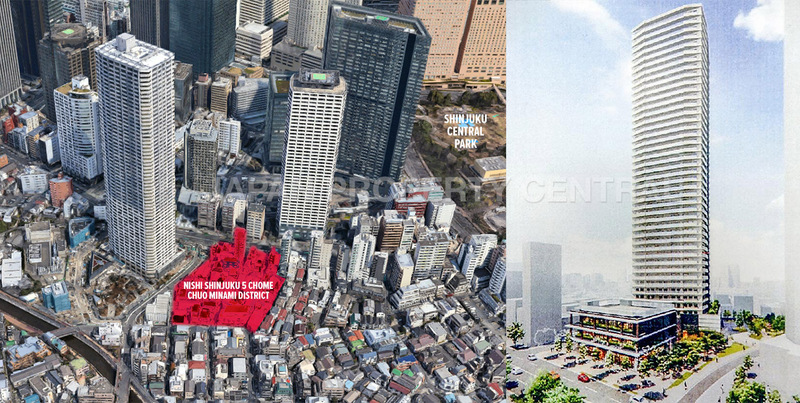 A 225-meter tall, 40-storey tower is planned for the site of the former Shinjuku Tokyu Milano movie theatre in Kabukicho. Construction is expected to start in July 2019 with completion tentatively scheduled for 2022. 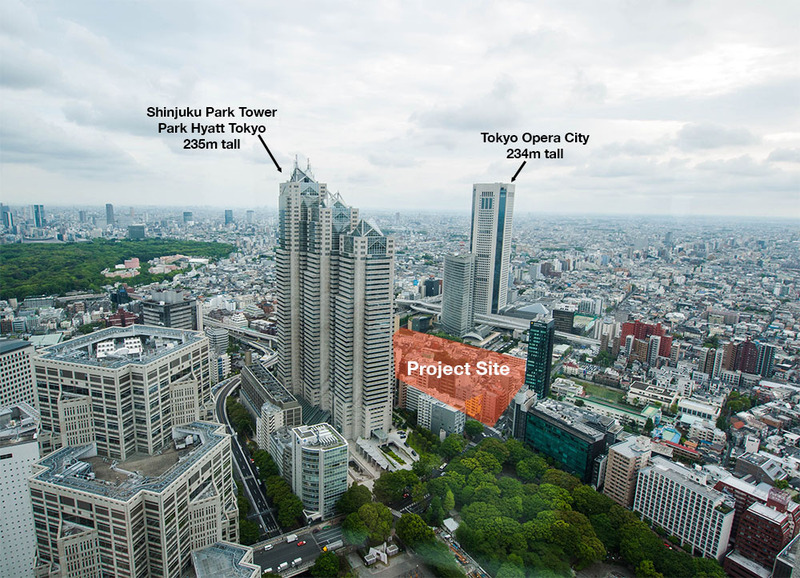 Construction of The Parkhouse Shinjuku Gyoen, a 14-storey condominium located directly across the street from the Shinjuku Gyoen National Garden, reached completion last month. The building contains 52 luxury residences ranging in size from 55 ~ 100 sqm (592 ~ 1,076 sq ft). 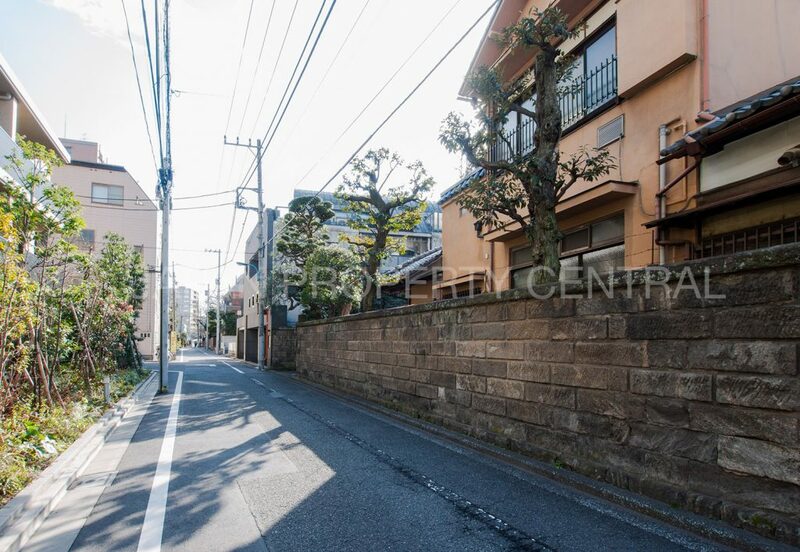 When sales began back in early 2016, apartments were priced from 64 ~ 269 million Yen, with an average price of around 1,725,000 Yen/sqm. Construction of Japan’s tallest apartment building based on total floor count has reached completion this month. The Parkhouse Nishi-Shinjuku Tower 60 is a 60-storey, 209 meter tall condominium located to the west of the Shinjuku business district. 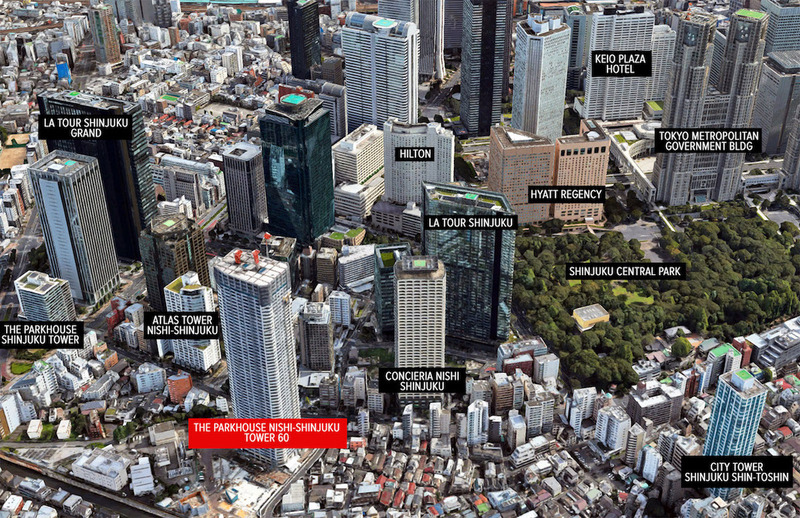 It may not keep its title as the tallest building based on floor count for long – two 65~66-storey, 235m tall apartment buildings with as many as 3,200 apartments are tentatively planned for a site on the eastern side of Shinjuku’s Park Hyatt Hotel and less than 1,000 meters south of The Parkhouse. 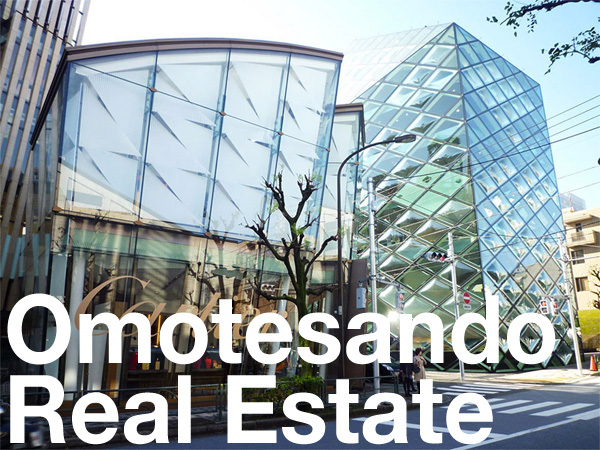 All 47 apartments offered in the first round of sales in Mitsubishi’s The Parkhouse Shinjuku Gyoen condominium received applications on the first day. The building is now 90% sold. An average of 2.1 purchase applications were made on each apartment, with the most popular apartment receiving 8 applications. The sales office received over 3,400 inquiries and had 600 groups through the show room since early March. 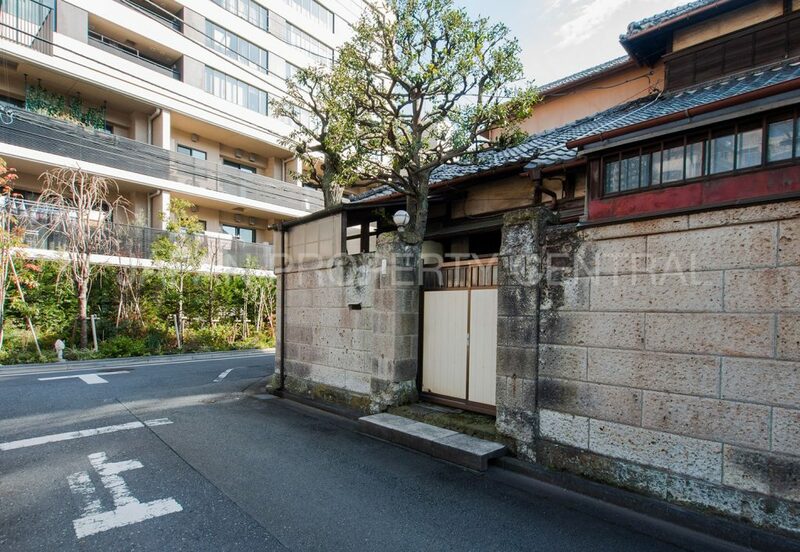 A 88-year old traditional Japanese residence in the Ichigaya neighbourhood in Shinjuku will be partially demolished. 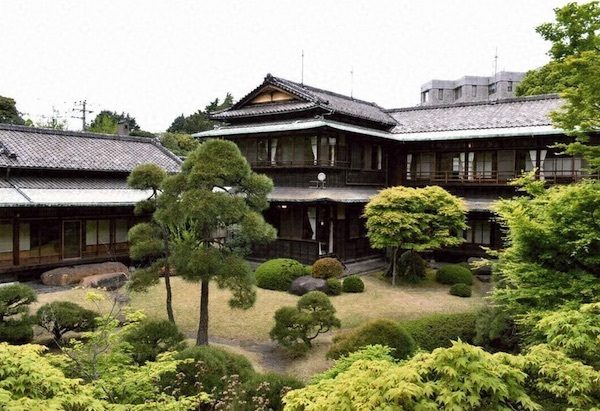 The house was built in 1928 as a residence for a wealthy shipping industry magnate from Toyama Prefecture. 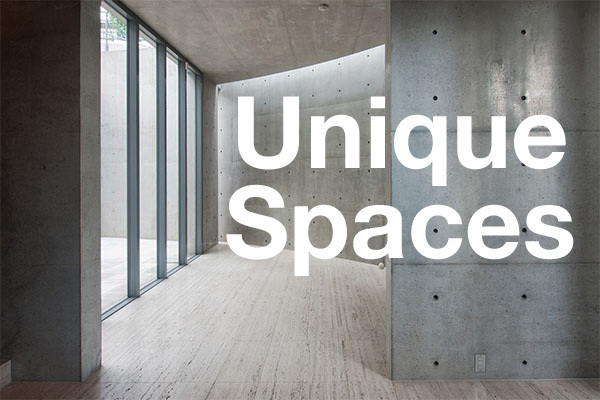 It was designed by architect Tetsuro Yoshida, an architect for the Ministry of Communications. 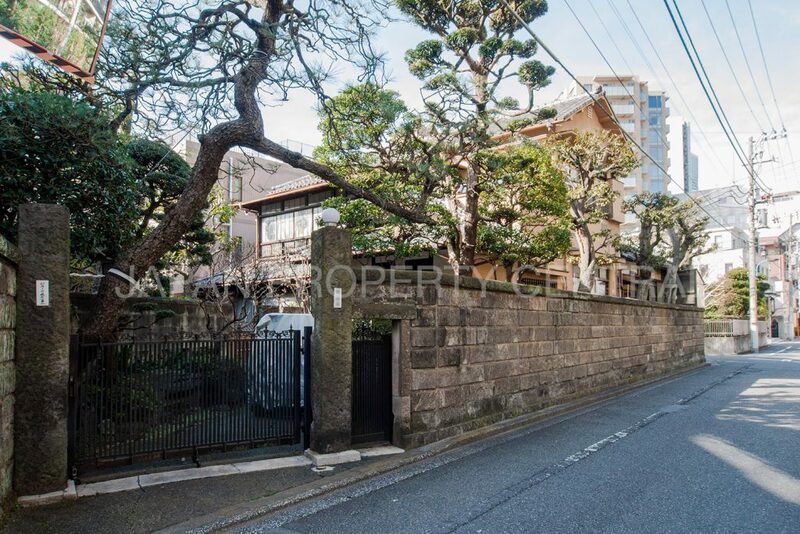 The 2-storey, 582 sqm house sits on a 3,837 sqm landscaped block of land. 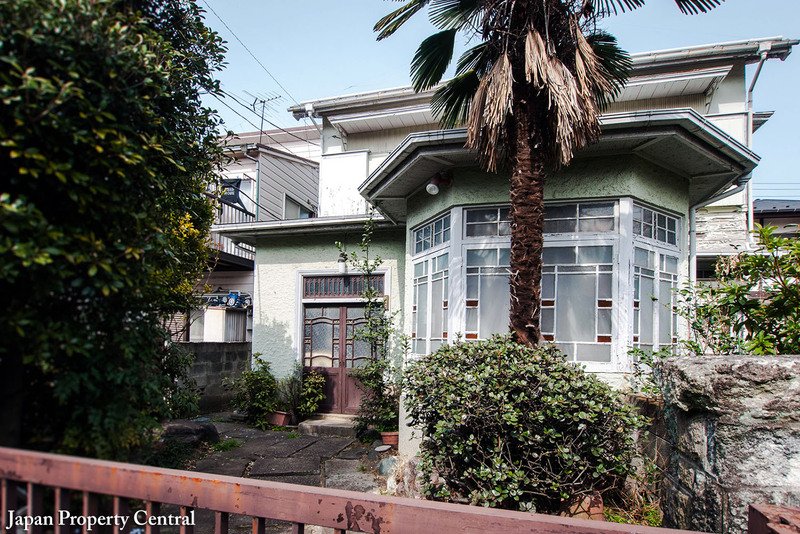 It includes a blend of both traditional Japanese and western styles, and is one of the few remaining large pre-war homes in Tokyo.